A series of Christmas Angels whose dresses are holiday ready. Each one has lots of lacy hardanger and some include touches of cranberries and beads. Any of the angels would make a wonderful gift for anyone. 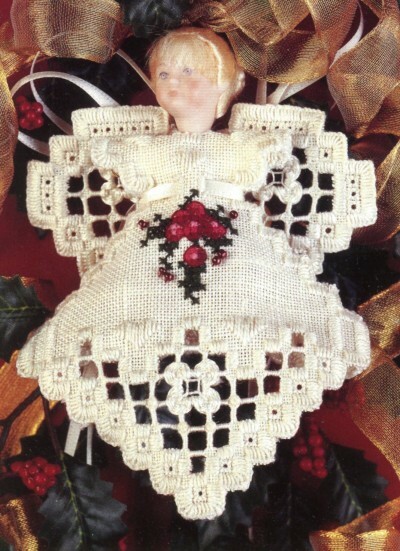 Or, why not stitch all the angels to have your own collection of hardanger Christmas angels on your tree this year.